What's the biggest way to satisfy your sweet tooth this holiday season? By grabbing a handful of cookies and swapping until Christmas day arrives! Christmas Cookie is an amazing match 3 game that's all about tapping, swiping, and combining cookie flavors to earn power-ups and clear the screen as fast as you can. It's delicious, partially nutritious, and crazy Christmas fun, too! What better way to get into the holiday spirit then playing fun Christmas games? Santa is getting ready for the holiday season, and there's nothing he likes better than a handful of Christmas cookies. 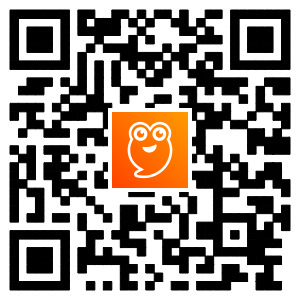 Help the big guy out by swapping tiles to make matches of three or more cookies at a time. 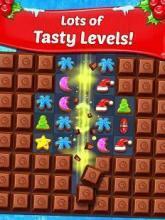 Clear some space with a clever match 3 combination, then keep puzzle solving while more cookies, candies, and desserts fall from above. Get Santa excited and watch how he celebrates by dancing and singing Merry Christmas! Work fast and match smart to complete the objectives before your moves run out. If they do, Santa will have to go without his holiday treats! 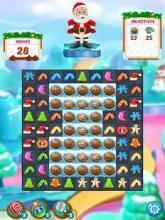 Christmas Cookie takes match 3 puzzles to a new level with many different power-up combinations. Open gift boxes, melt troublesome snowmen, break out the Christmas stockings and more! 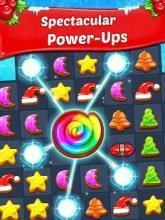 Match lots of cookies to create Christmas ornaments, arrow tiles and other power-ups, each perfectly suited for clearing huge groups of cookies all at once. Feel the crunch! The countdown to Christmas has started! Getting into the holiday spirit and playing fun Christmas games is a must if you want to be on Santas nice list. So what are you waiting for, download the number one Christmas match 3 game today! 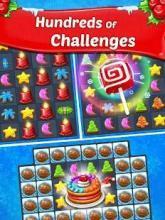 You can play regular match 3 puzzle games all year round. ★ Features ★ ✔️ Match tons of different crunchy Christmas cookies, one swap at a time! ✔️ Complete unique objectives without running out of moves. ✔️ Blast through entire rows and groups of cookies. ✔️ Create huge combos and earn exciting power-ups. ✔️ 725 levels of delicious puzzle challenge. If you're like everyone else, the holiday Christmas countdown means stress! That means preparing your Christmas list and checking it twice. So next time when you go Christmas shopping, and your stuck waiting for your loved one to finish shopping. Pull out Christmas Cookie and get back into the holiday spirit. While playing Christmas Games is way more fun then Christmas Shopping, we do hope you enjoy the Christmas holidays with your friends and family. If you're like many of our fans, Christmas Cookie will keep you entertained all year long. The game is updated regularly, so come back and get into the Christmas spirit year round. 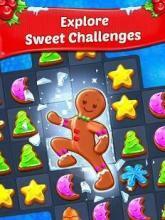 We truly hope you enjoy playing our Christmas themed match 3 puzzle game. We thank you for your support this year and RV AppStudios wishes you a Merry Christmas and Happy New Year!